CGLMC had its GEO accreditation verified once more. First awarded in 2013, this prestigious accolade, the symbol of a great golfing environment, was again bestowed on us in 2016. GEO is a sustainability group founded to support the golfing industry, to make a positive ecological and environmental impact on both players and nature. Its vision is to place social and environmental issues at the roots of the game; to prove that golf is good for nature and communities. 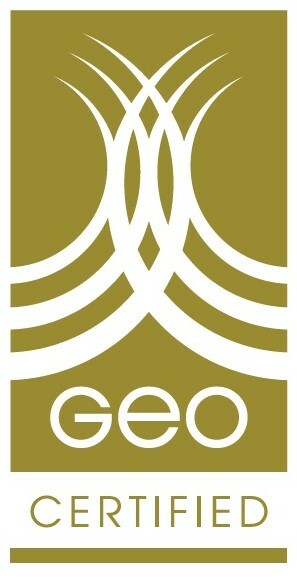 The verification process confirms that Carnoustie Golf Links satisfies all the GEO certification criteria. The comprehensive GEO On Course report provides solid evidence of the continues commitment by CGL to maintain wider sustainability issues. The key strengths identified first time round in 2013, were not only upheld, but also enhanced in 2016, thus more than meeting the stringent certification standard and renewal priorities. The Continual Improvement Points noted in 2013, have since been addressed. CGLMC is rightly proud to have the GEO re-verification and is delighted that this national accolade recognises the outstanding work of the Links Superintendent and all his green-keeping staff in terms of ecology and environment.